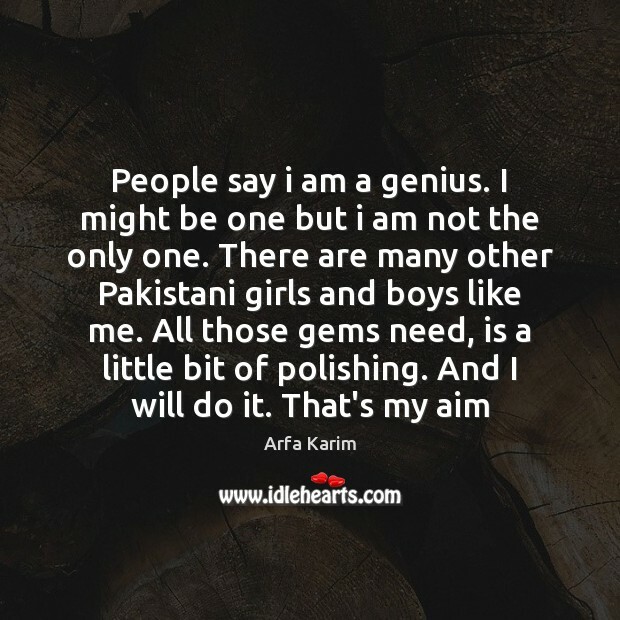 Enjoy the best inspirational, motivational, positive, funny and famous quotes by Arfa Karim. Use words and picture quotations to push forward and inspire you keep going in life! Never let shyness conquer your mind. If you want to do something big in your life, you must remember that shyness is only the mind. If you think shy, you act shy. If you think confident you act confident. Therefore never let shyness conquer your mind.